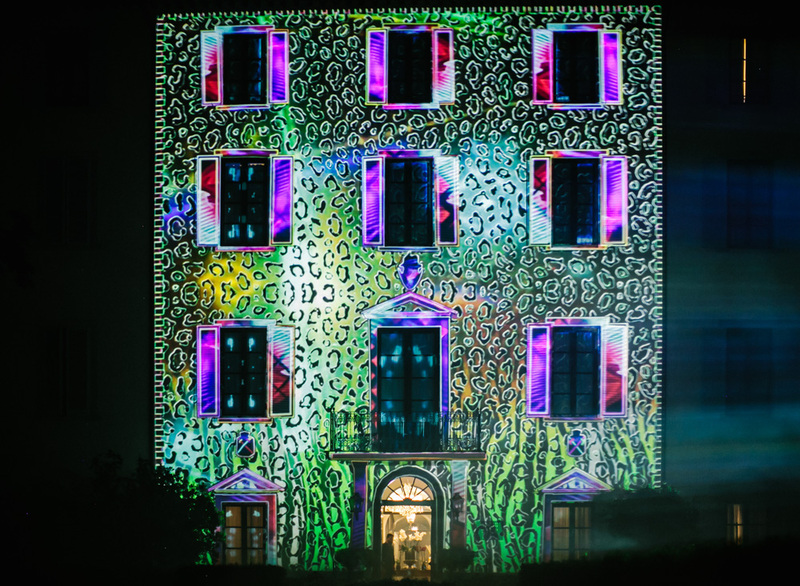 Following on from the success of the projection mapping we did for a wedding at Chateau Vaux le Vicomte in May 2016, we were contacted by the same wedding planners to shoot at the equally stunning Four Seasons Hotel in Florence, Italy in September. The impressive venue was booked exclusively for the event, including its extensive gardens, and was transformed into a bride’s dream, with thousands of flowers decorating the space, glittering glass marquees hosting a sumptuous wedding breakfast, and our projection mapping expertise adding to the evening entertainment, along with A-List performers and fireworks. 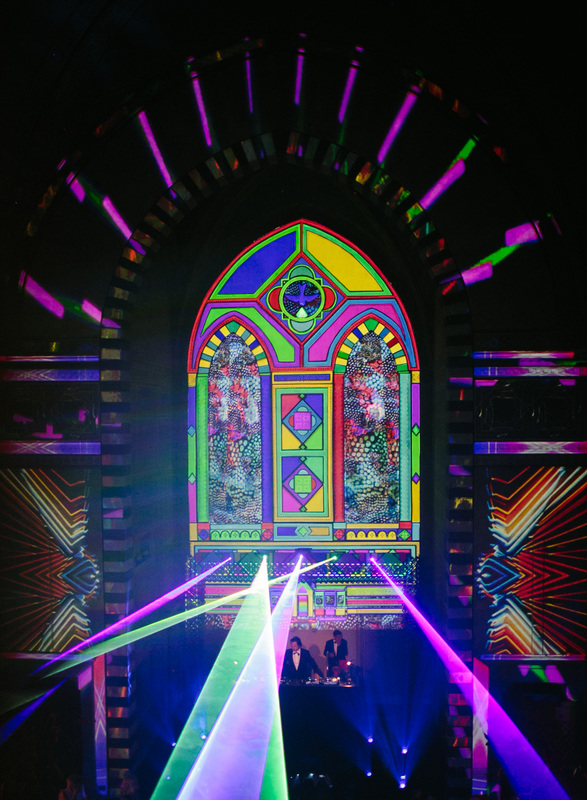 We were enlisted to provide projection mapping on both the outside and inside of the (now de-consecrated) former Convent church. The outside of the beautiful Renaissance building, was lit up by a mesmerising sequence created by long time collaborator, visual artist Rupert Newman. His unique style of bold colours and patterns, including a leopard peel effect, transformed the venue for the evening. 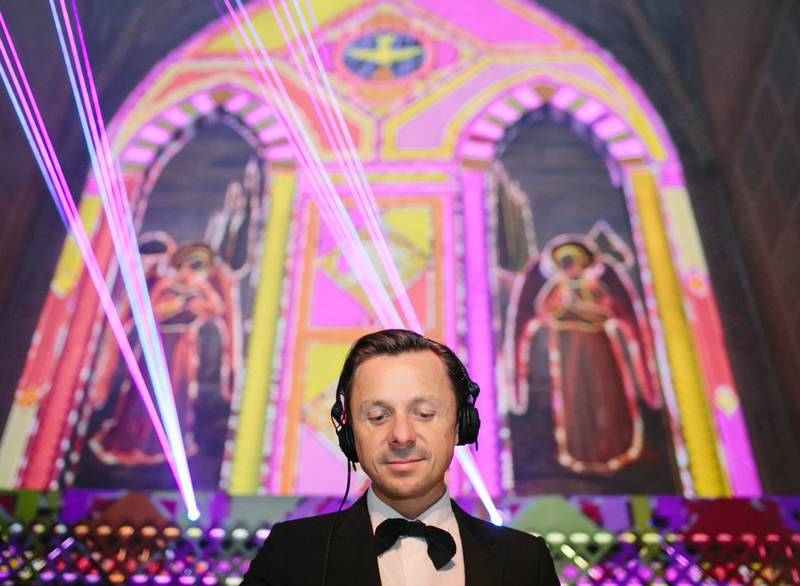 Inside the chapel, our job was to project onto the amazing detailed arch which was to be the backdrop of the stage, where artists entertained the guests, including super star John Legend.